Columbian emerald and diamond ring. 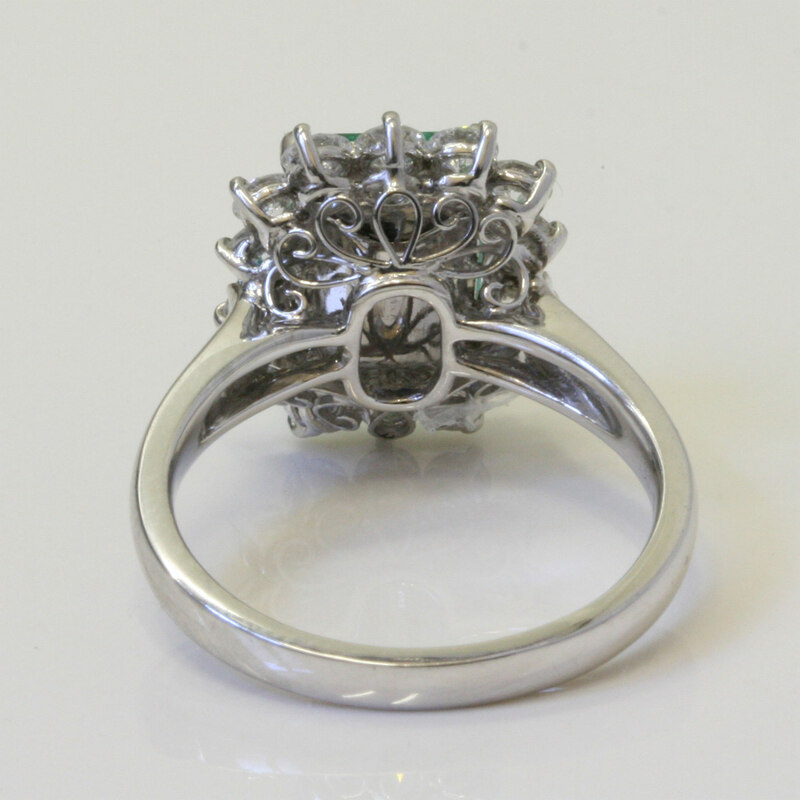 Product code: 801 Categories: Sold Items, Sold Rings. This emerald and diamond ring really shines! 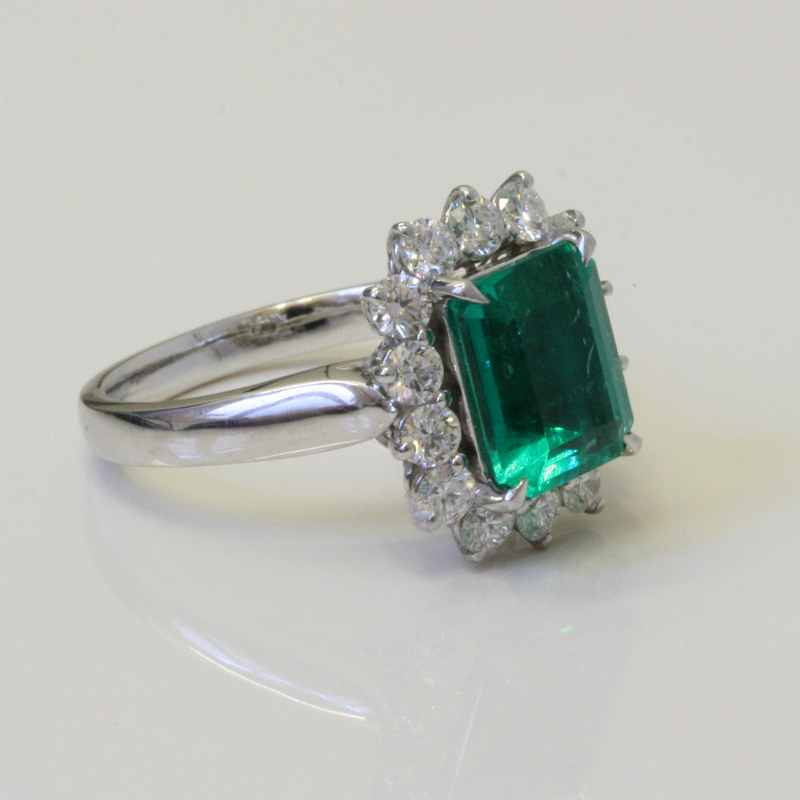 Set with a superb emerald cut Columbian emerald, it weighs 2.79 cts and has the most superb green colour. Surrounded by 14 round brilliant cut diamonds that total 0.92cts, and made in 18ct white gold this emerald ring is elegant in every way. 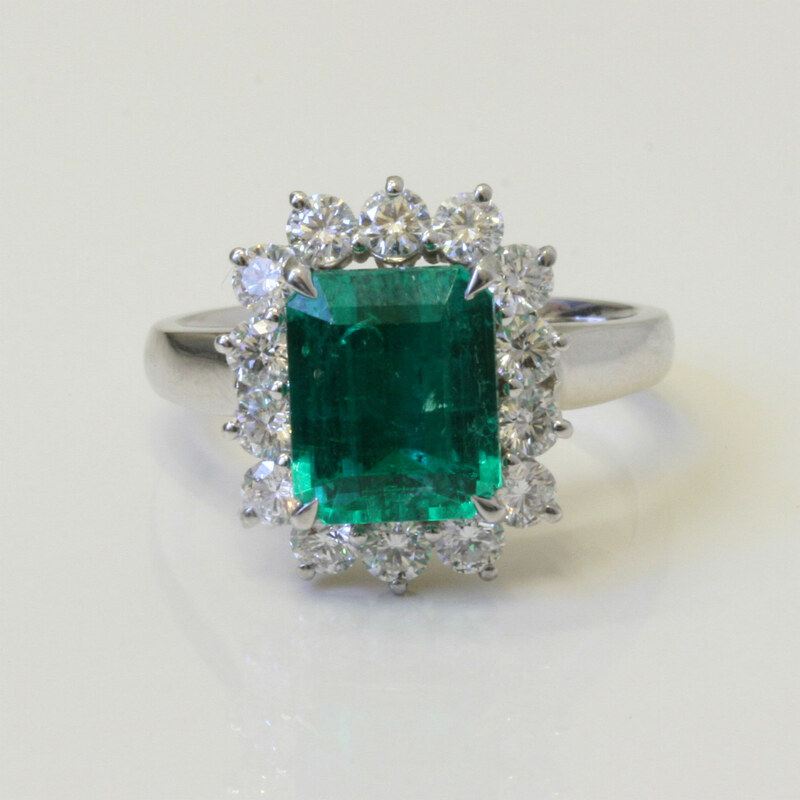 If you love emeralds, then this is certainly one emerald ring that must be tried on and admired.